Here at AirTeam, we believe in being responsible stewards of the planet. We are wholly committed to helping our customers reduce their impact on the environment. At the same time, we aim not to sacrifice any quality or comfort. 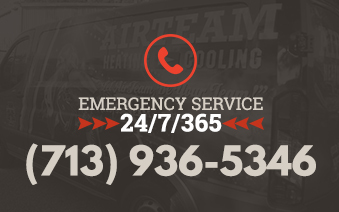 Choosing AirTeam provides peace of mind knowing that you are helping create a cleaner and better future. In February 2009, the United States government introduced a stimulus package that expands tax credits for energy-efficient appliances. As a responsible steward of the planet, AirTeam offers customers an entire line of highly effective and efficient home comfort systems. Under the new stimulus package, these efficient home comfort systems are eligible for tax credits. AirTeam and Lennox combined to make history in 2009 when the HVAC industry’s first solar-assisted air conditioner and heat pump were introduced. You can take a look at the Dave Lennox Signature® Collection heat pumps and air conditioners that use the SunSource™ Home Energy System. Being that we are an ENERGY STAR Retail Partner, we have made a strong commitment to meet ENERGY STAR’s incredibly high level of dedication to our environment. The energy-efficient air quality products and home comforts systems that we provide can make a huge difference when it comes to reducing energy consumption and ozone depletion. We truly are committed to positively impacting the environment while also maintaining the highest level of quality and comfort. When it comes to home energy reduction, AirTeam really is leading the way. Even just the slightest amount of efficiency goes such a long way. Something as simple as installing a new programmable thermostat and signing up for our AirTeam MVP Preventative Maintenance agreement can lower your energy consumption by as much as 30% and reduce your dangerous CO2 emissions by 4 metric tons per year. Our MVP Preventive Maintenance Agreement truly is a wonderful way to commit to the future of our environment.